– life | brainsnorts inc.
“Life finds a way.” – Ian Malcolm, Jurassic Park. 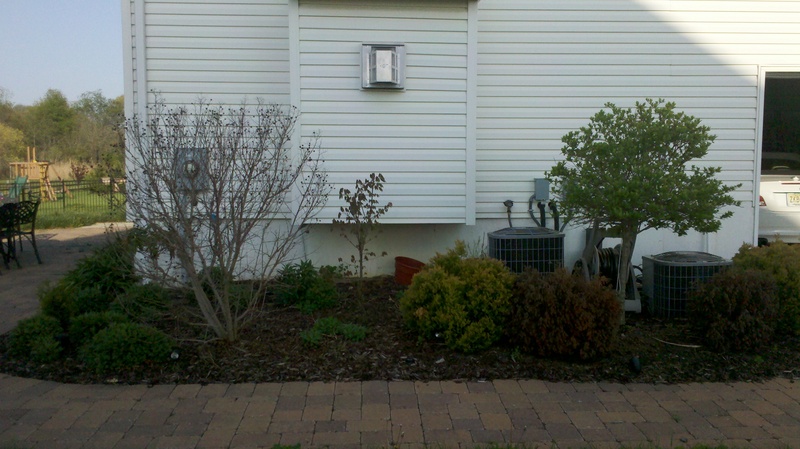 I learned that there are two approaches to landscaping at home. You could dump in a bunch of plants, shrubs, and trees all in one shot. Or you could do things a little at a time, see what works, and make sure you don’t overdo it. I’m good with the second one. So in this picture, there was this empty space in the middle, which is the outside of the house from where the fireplace is. For a couple of years I kept trying to figure out what to put there. I wanted something to hide the fireplace vent, fill in the middle of that empty space, but without being too much. 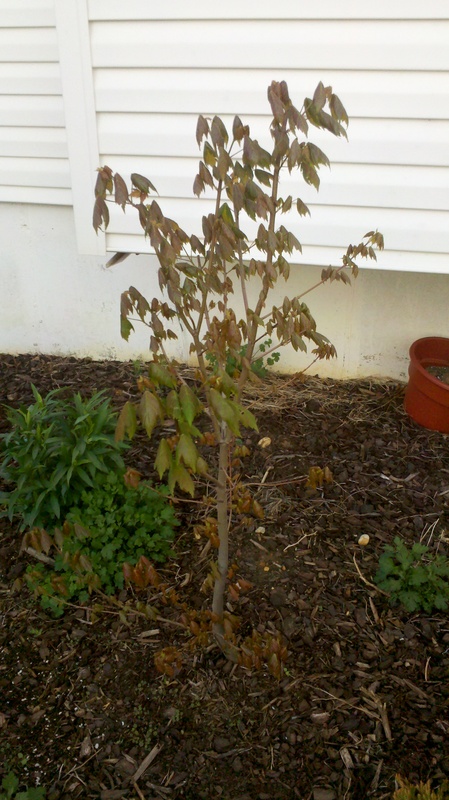 sapling, I thought it looked like a maple. Sure enough, come this spring, I can now tell that it’s another October Glory Maple. 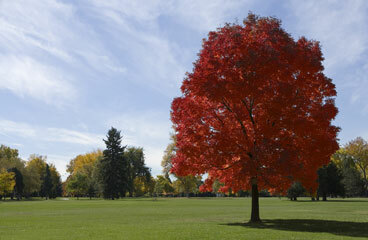 The picture above isn’t my maple, but it’s what mine will be like in about five years. I guess over the years the maple had been spreading its seeds, just like nature does, and then by chance, as has happened by “chance” for millions of years, one seen just happened to land exactly right where something was needed. This is all part of evolution, nature, mother nature, and nature finding a way to make things happen. May 2, 2011 in evolution, nature. I would like to see another picture of this little tree in June, when the foliage has hardened off. Only one question I have – what sort of root system does the maple have? Having experienced more than once trees growing in lovely spots that decided to invade foundations and irrigation that is now one of my first questions. The mature tree is absolutely breath taking. great question. thanks for the warning!